Baia was the Las Vegas of the Roman Empire - the place where the rich and powerful came to carry out their illicit affairs. Tourist interest in the once-popular coastline was only renewed in the 1940s when a pilot shared an aerial photo of an edifice just below the ocean’s surface. Soon, geologists puzzled over boreholes left by molluscs on ruins found near the shore, tell-tale signs that parts of the hillside had once dipped below sea level. Two decades later, Italian officials commissioned a submarine to survey the underwater parts of the city. The ruins beneath the sea’s surface were the province of just a few intrepid archaeologists until recently. The underwater archaeological site was not formally designated a marine protected area and until 2002, which is when it opened to the public. 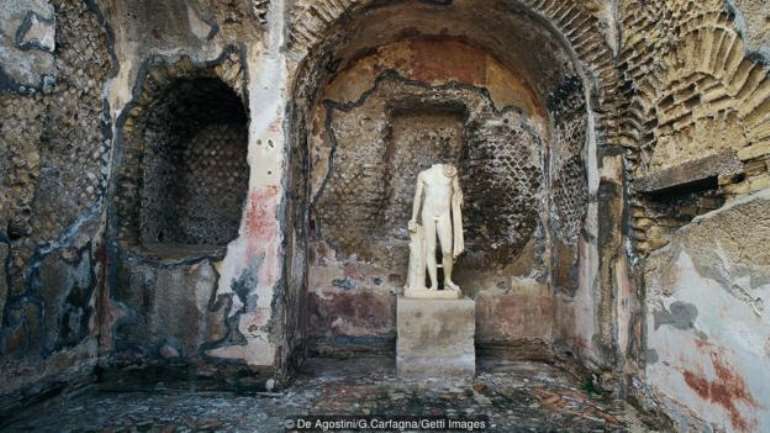 Since then, 3D-scanning technology and other advances in marine archaeology have offered first-time glimpses into this chapter of antiquity: divers, historians and photographers have captured submerged rotundas and porticos, including the famed Temple of Venus (not a temple, but a thermal sauna) - discoveries that have in turn provided clues to Rome’s most outrageous debauchery. Because of the undulation of the Earth’s crust, these ruins actually lie in relatively shallow water, at an average depth of 6m, allowing visitors to see some of its eerie underwater structures from a glass-bottomed boat, or videobarca . 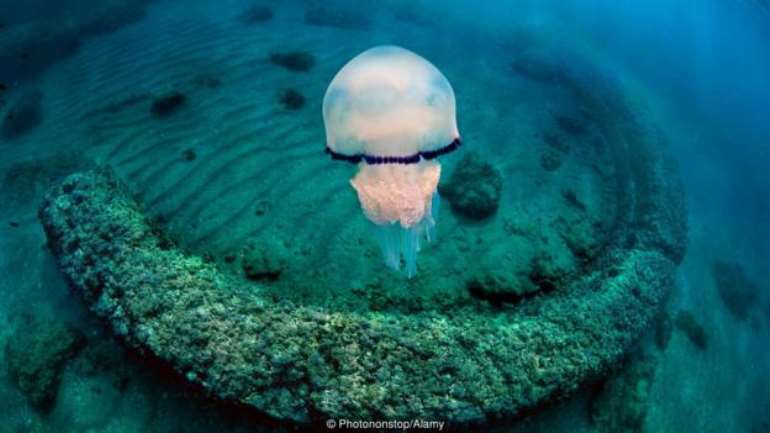 Local diving centres such as the Centro Sub Campi Flegreo (who partnered with the BBC on a recent documentary about Baia) also offer snorkelling and scuba tours of the submerged city a few kilometres out in the Tyrrhenian Sea. On a calm day, visitors can spot Roman columns, ancient roads and elaborately paved plazas. Statues of Octavia Claudia (Emperor Claudius’ sister) and Ulysses mark the entrance to underwater grottos, their outstretched arms flecked with barnacles. There’s plenty to see above the water line, as well. 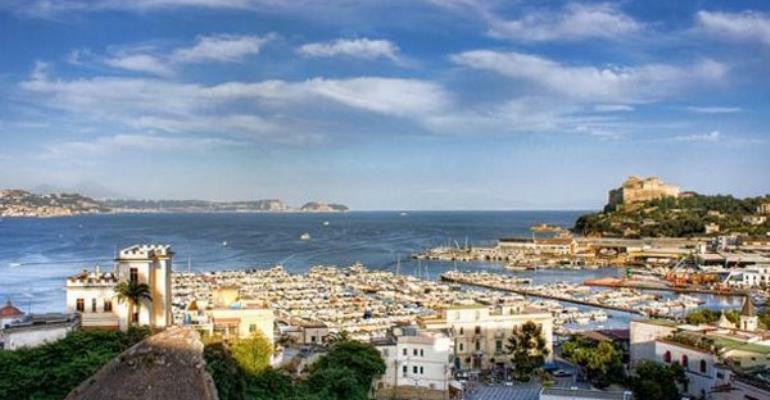 In fact, many of the submerged sculptures are actually replicas; the originals can be found up the hill at the Baia Castle, where the Archaeological Superintendency for Campania manages a museum of relics pulled from the sea. Many above-ground Roman ruins are also visible nearby at the Parco Archeologico delle Terme di Baia , the portion of the ancient city still above sea level.Excavated in the 1950s by Amedeo Maiuri, the archaeologist who also unearthed Pompeii and Herculaneum, the on-land historical site features the remains of mosaic terraces and domed bathhouses. For now, however, visitors can search this underwater city for a hidden entrance - if not to the underworld, then at least to some spectacular subterranean treasures.